We have designed an innovative glass that allows you to enjoy your drink at a leisurely pace AND keep it chilled to perfection all at the same time. 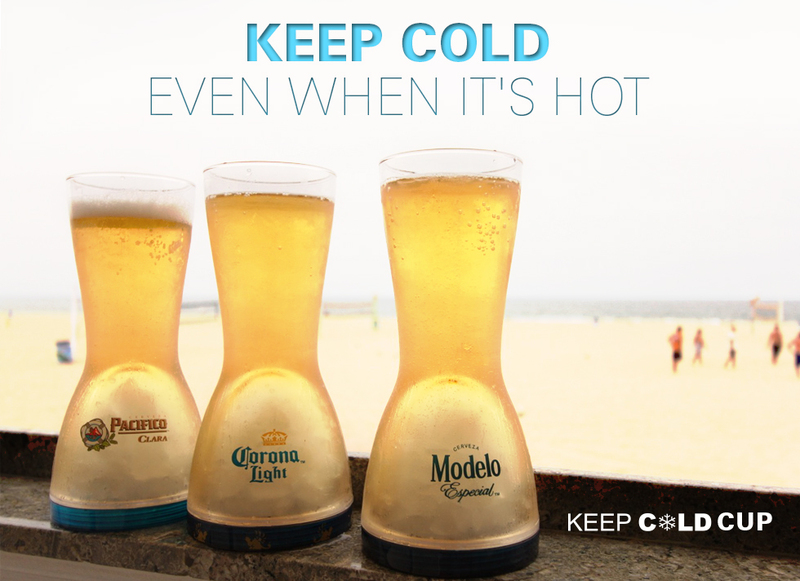 The Keep Cold Cup is a tall, 21 oz. vessel that houses a compartment built up into the body of the cup that allows for ice to be inserted and kept separate from the beverage. Ice is placed into the bottom of the chamber and secured by a twist on bottom. The insulated construction allows the Keep Cold Cup to give you a frosty drink experience without diluting your refreshment of choice. Logos and imprints of any kind can be incorporated into a custom design, providing an excellent opportunity to advertise specific brands. Contact RP & Associates today to experience a hassle-free chill with the Keep Cold Cup!